Hyperthyroidism. Johns Hopkins University website. Available at: http://www.hopkinsmedicine.org/healthlibrary/conditions/adult/endocrinology/hyperthyroidism%5F85,P00408. Accessed November 28, 2017. Hyperthyroidism and thyrotoxicosis. EBSCO DynaMed Plus website. Available at: http://www.dynamed.com/topics/dmp~AN~T116479/Hyperthyroidism-and-other-causes-of-thyrotoxicosis . Accessed July 27, 2017. Accessed November 28, 2017. 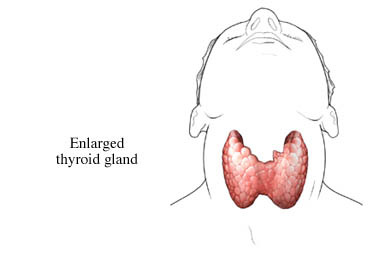 Thyroid nodules. American Thyroid Association website. Available at: http://www.thyroid.org/thyroid-nodules. Accessed November 28, 2017. Thyroid scan and uptake. Radiological Society of North America Radiology Info website. Available at: http://www.radiologyinfo.org/en/info.cfm?pg=thyroiduptake. Updated February 1, 2017. Accessed November 28, 2017.